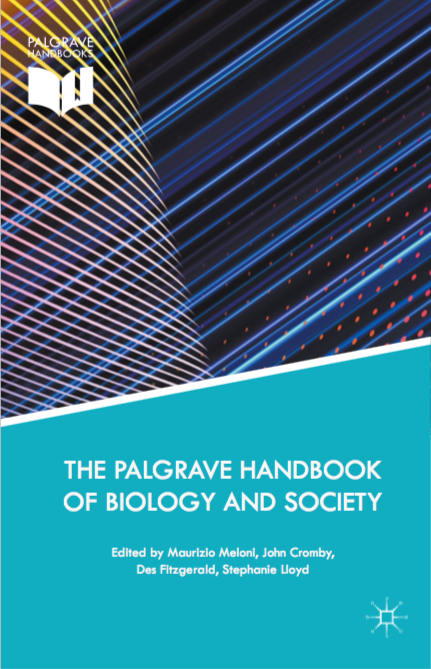 The Palgrave Handbook of Biology and Society is a book that aims to bring together contributions from biological and social sciences, in order to present the novel perspectives that these two approaches offer upon some of the most significant sociological, anthropological, philosophical and biological questions of our era. Developed by Maurizio Meloni (social theorist at the University of Sheffield), John Cromby (psychologist at the University of Leicester), Des Fitzgerald (sociologist at Cardiff University), and Stephanie Lloyd (medical anthropologist at the Université Laval, Canada), and published by MacMillan, the Handbook cover topics ranging from genomics and epigenetics, to neuroscience and psychology to social epidemiology and medicine. Four Lifepath members were involved in the realisation of one of the six sections of the book, dedicated to social epidemiology. Michelle Kelly-Irving and Cyrille Delpierre (Universite Paul Sabatier Toulouse III) introduced the chapter by explaining the concept of embodiment in Social Epidemiology. They started from Nancy Krieger’s Ecosocial Theory, presented her definition of embodiment, and explored further developments in research focused on how the social becomes biological. They then examined the hypothesis that adult cancers may originate in early life through the embodiment of adversity. Silvia Stringhini (Lausanne University Hospital) and Paolo Vineis (Imperial College) explained why epigenetics is useful in investigating the effect of socioeconomic conditions. At first, they described the conceptual framework of the role of epigenetic modifications as one of the biological mechanisms through which socioeconomic factors are biologically embedded. They then took the example of smoking-induced epigenetic modifications to speculate on the reversibility of epigenetic changes triggered by environmental stimuli. Finally, they discussed the difference between the Lifepath epigenetic-based approach and classic epidemiologic studies, especially as far as policy implications are concerned.